Rotherham rave imp Rian Treanor kicks up to Planet Mu for 'Ataxia', his debut album following introductory EPs with The Death of Rave and Warp's resuscitated Arcola sublabel. 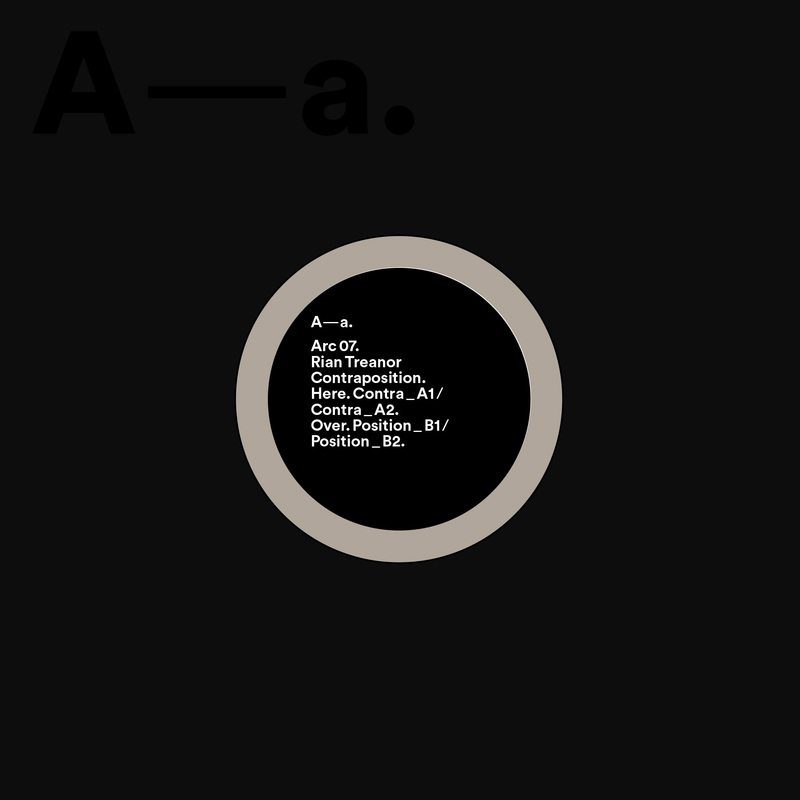 Under the title 'ATAXIA', chosen literally for its meaning - "the loss of control of bodily movements" - as well as its figurative, asymmetric quality, Rian sequences ramped versions of his tracks for The Death of Rave along with shockingly forward new gear that plays into his love of Dadaist vocal cut-ups. The result is an immensely playful and beguiling album, cannily messing with listeners' sense of rhythmic anticipation in a dare-to-be-different style that's tripped up and put a big daft grin on dancefloors everywhere from Boiler Room in Helsinki to Uganda's Nyege Nyege Tapes festival. Where his earlier EPs were mostly improvised, Rian spent more time shaping the tracks for 'ATAXIA'. Taking cues from his mentor and father, eminent sound artist Mark Fell, as well a rich SoYo rave heritage, he sticks to an economical palette, making each stab, drum and pad count in the democracy of the mix. From these relatively simple, if now more refined elements, Rian's suss comes into play in the structuring, using his background as a visual artist to create disruptive patterns of angular yet fluid syncopation and irregular symmetries that both allow for and connote a sort of hyper-natural order of chaos. While resembling the styles of speed garage, synth-pop, bleep techno and extreme computer music that he grew up with, Rian's pointedly mischievous approach jumbles those styles, using the tactility of Max/MSP to rejig them with more unpredictable and playfully wrong-footing effect, embracing the dancefloor's radical potential to reprogram minds and bodies. Concepts aside, though, 'ATAXIA' is a lot of fun. Rian's dry Yorkshire humour is in full effect in the cut-up vocals of the openings and closing numbers, while the recursive ballistics of 'B1' are bound to tie bodies in knots, 'C2' advances his absorbingly intricate melodic sequencing, and the rhymelodic chicanery of 'D2' ranks among the most stunning, inexorably funky cuts in his catalogue. Rian Treanor returns with a whitelabel 12" featuring hyper spins on '80s synth-pop, Lollywood soundtracks and '90s Eurodance, rendered in his inimitable, disruptive style...! Rian extracts and accentuates their hooks in series of jabbing, asymmetric reductions for the 'floor with results intended to rewire muscle memories and inject the club with a healthy dose of advanced daftness. In each part Rian exerts a singular spin on timeless evergreens, demonstrating his roots in hip hop and UK dance music's sampling cultures, while exemplifying an inexorable, personalised push for new patterns of dancefloor possibility. All material has been thoroughly disruptive in a variety of situations, from midsummer rites at IMMA to Radio 1Xtra to freak raves in Salford and, most recently, as part of Rian's Boiler Room performance in Helsinki, the latter of which drew opposing criticism from its YouTube viewers; prompting Wayne Cloete to remark "what do you call this cos it aint music its like a production that went wrong or still trying to figure out the beat", whereas Viktor Stech claimed Rian to be a "genius with rhythm." To be fair they're both right, but only one of them knows it. Basically the A-side is mental party fuel - especially if you like alcopops, Lollywood soundtracks or Ferris Bueller's Day Off - while the B-side turns 3 mins of '80s pop brilliance into a 14 minute+ monster, cannily riffing on the idea of deferred gratification. Originally active in 2003-2004 as an abstract dance-oriented offshoot of Warp, Arcola relaunches (just shy of its 15th birthday) as a ltd 12" imprint that uses the format to explore the spaces where contemporary electronic music meets 'club music' in 2018 and beyond. Rian Treanor has long been a staple of our listening habits since his game-changing sides for The Death Of Rave. Having kept quiet on the release front since the summer of 2016, he sparks off the seventh Arcola with the Contraposition EP. Showing a darker side to his sound than previous releases, Contraposition's four entries mix subzero tones with a serious techno insight. Effortlessly rewiring the twilight sound of UK Garage, Eski rhythms at their most skeletal, and a serotonin-soaked Reinforced style sensibility. Cut super loud to wax, for those needing touchstone points of reference, we'd liken elements to the work of everyone from Jean-Claude Risset, Jam City, Lorenzo Senni, Optical and Gesloten Cirkel. Yet, the deeper in you go, the more that Contraposition reveals itself to be one of the most original and devastating 12"s you are gonna come across this decade or next. Pattern Damage is the 2nd flash of idiosyncratic footwork and garage hybrids from South Yorkshire's Rian Treanor, landing on The Death of Rave nine months after his coiled, nerve-sparking debut 12". The EP's four cuts pursue angular mutations of 2.1-step and and early Warp techno into faster BPMs and colourfully chromatic, sidewinding structures, all driven with a breathlessly forward, quicksilver style that's entirely Rian's own and with few comparisons in the current field. Operating exclusively at a signature 150bpm temporality, the Pattern Damage EP finds Rian both opening out and refining his sound, greeting you with the brutalist, grimy n0!se of Pattern_A1, which sounds closest to SND or Errorsmith's most oblique twisters, before the dub chords and skittish rhythms of Pattern_A2 recall Autechre getting off at Niche Club (R.I.P.) and Damage_B1 comes off like a giddier, footworking answer to Hyph Mngo before Damage_B2 unfolds a super cute and tricksy origami syncopation. By splicing the syncopated swing 'n parry of Sheffield's speed garage sound at +8 with the whirlwind flux of Chicago footwork, Detroit jit and the dizzying dynamics of Max/MSP software, his sound dances in a double refraction of ideas and influence between US, Afro-Caribbean and UK dancefloors in various stages of integration and mutation; following a line along Black-rooted dance music and the sharpest edge of experimental electronics in a way that's informed the best, open-minded UK music since the mid 20th century and is now inseparable from our shared culture in 2016. Northern UK-based artist Rian Treanor re-imagines the intersection of club culture, experimental art and computer music with a super smart debut for The Death of Rave in the wake of their planet crushing Black Mecha debut. Galvanising and accelerating garage and techno with cuttingly crisp tonal diction and pointillist percussive palette, 'A Rational Tangle' demonstrates Treanor's adroit and finely-nurtured rhythmelodic instincts through a quicksilver syntax of kerned, polychromatic 2-step patterns and whipsmart, emotive jit music. The EP's four tracks vacillate ping-pong ballistics and recursive melodic motifs constructed in Max/MSP, dancing from pendulous, aerobic minimalism to taut, synthetic tabla grooves with grid melting nous, whilst also taking in gamelan-esque hypeR&B through wormholes of smeared and curdled harmonics, plus one dead lush section of Detroit-via-Yorkshire styled hi-tech funk. The production is stainlessly dry and future-proof whilst Rian's arrangements are considerately efficient, yet it's all blessed with a pop or 'floor-ready turn of phrase that reveals new kinks, fills and twysts with each return listen. Whichever angle you view it from 'A Rational Tangle' forms a rewarding introduction to the work of a very promising and distinct new voice in electronic music.